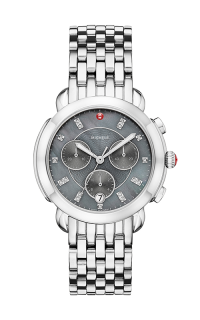 Architectural details frame the bold, round two-tone case of the Sidney watch. 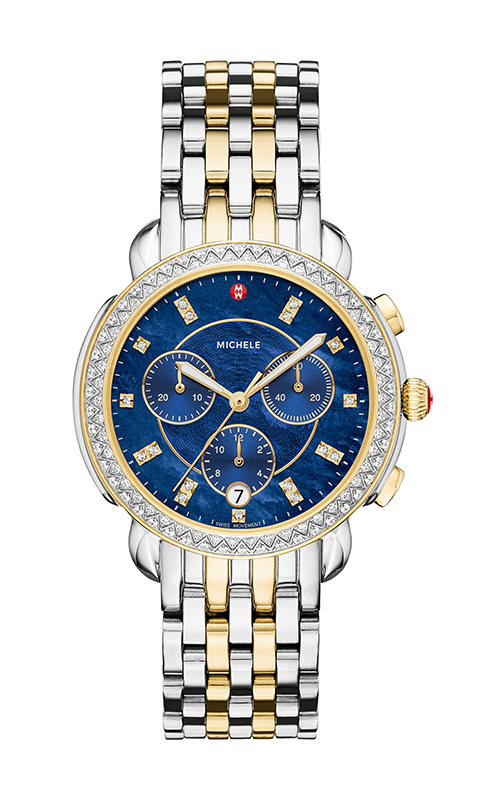 This chronograph timepiece features a Deep Blue mother-of-pearl dial with sunray sub-eyes, date window and 117 hand-set diamonds on the bezel and hour markings. 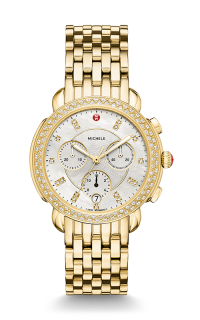 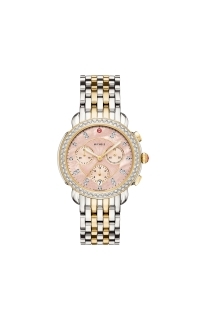 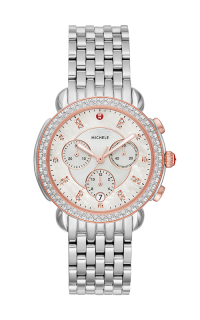 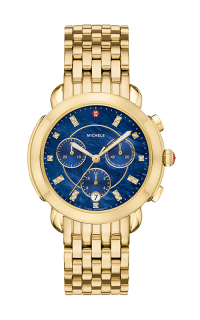 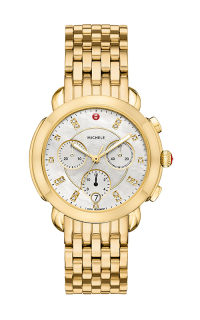 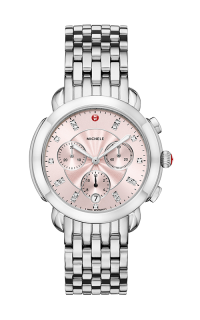 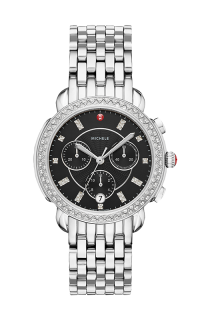 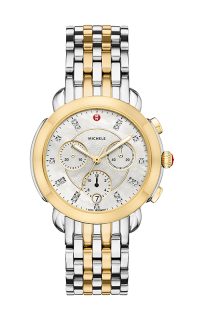 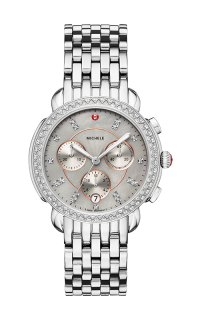 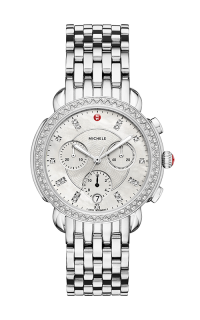 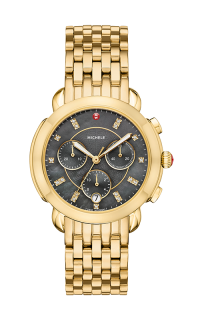 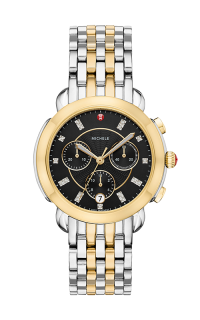 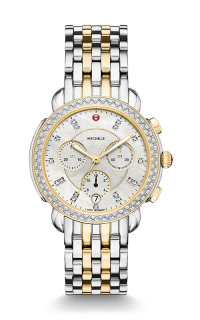 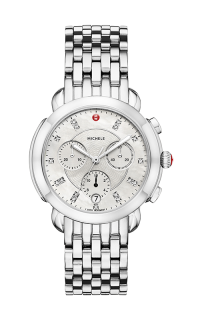 The two-tone bracelet is made specifically for the Sidney collection and is interchangeable with any 18mm MICHELE strap.